12th April 2013. EOTrackMe released for Android; New tracking security; Survey Winner Announced; $100 voucher Winner Announced; How to Win an ARB Air Compressor; & Latest Super Specials! Do you have an Android Smartphone or Tablet device? 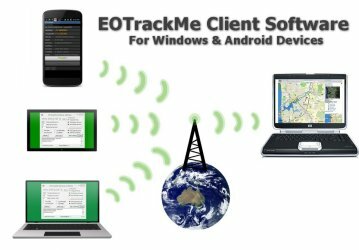 Now you can use it to submit tracking using the EOTrackMe Android software - only $5.00 for members. See our Settings for Android blog, or Purchase Android software here. EOTrackMe Windows program (formerly known as EOTrackMe PC) has also been upgraded. Features a new simple download/registration and reduced to just $5.00! See our Settings for Windows blog, orPurchase Windows software here. Not a member? Either of these Client Software Solutions are available for $54.95 and includes one year's Personal Membership. If you prefer to keep your tracking private, and only want to give access to specific people such as your friends and family, you can now lock your tracking with a Password. Simply click on the Edit Device button, and enter a password, this can then be communicated to your friends and family however you wish. They don't need to be registered on ExplorOz to view your tracking, all they need is the password, and to have the link to your Profile Page. Once you've completed your trip, you can save the file as a User Trek, and it will become publicly visible in your profile. TIP: the best way to organise your tracking is to save each section of your trip and name it appropriately. This provides the most benefit to others when sharing, and helps you make sense from the lines on your map. 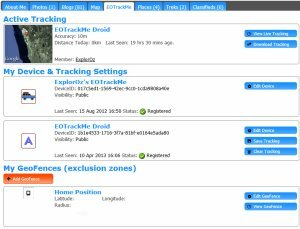 The EOTrackMe tab in all ExplorOz Member's Profiles has been updated to include Active Tracking, Device and Tracking Settings, as well as Geofence Information. The only section publicly visible is the Active Tracking (unless you have installed a password lock). All other fields are to assist you in your EOTrackMe set-up. This tab has also been duplicated in the EOTrackMe section on the My Tracking tab. Don't have EOTrackMe? Find out more from the EOTrackMe page. Our first survey for 2013 has now closed. A whopping 95.3% of people completed it so there were lots of people in with a chance to win the prize we also had on offer. The winner (based on random selection) of the Boiling Billy prize pack is new Member - Troopster95, from Qld. Congratulations, we’ll be sending your prize out to you soon! The survey has produced some very interesting feedback and we are actively using these learnings to guide our year ahead. Thanks to everyone who took the time to provide their feedback and responses. A summary of results will be blogged soon. Our new survey looks into what type of travellers thrive amongst us in the ExplorOz audience, so please make sure you all complete this one as this is very important data that helps us know your needs more specifically. Included is a vehicle make/model poll, so for once and all we'll be able to tell you exactly which vehicle outranks all others! But we also have questions that ask if you prefer caravan parks, bush camps and what sorts of equipment you are looking at buying to setup for your next trip. Nothing too hard & it's all multiple choice. Don't miss out on huge savings on our Super Special items. Remember these change frequently and are always major savings. We also have a $100 voucher to giveaway to Visitor creosote54. This is a monthly prize draw available to anyone who submits a REVIEW for a product in our shop. This voucher can be used as a credit against anything you purchase through our online shop. There will be another prize draw from April reviews, but remember you've gotta be in it, to win it!